Seth Meyers is leaving Saturday Night Live. This is not new. What feels new is how imminent that departure is — it's coming up on Feb. 1. With that date impossibly close, SNL has now announced Meyers' successor: Current SNL head writer Colin Jost will be taking Meyers spot at the Weekend Update desk. So let's get to know him a bit, shall we? Jost was hired for SNL when he was 22 — as ya do, immediately after graduating from Harvard, where he was the president of the Harvard Lampoon, that hallowed publication of humor that has spewed out countless comedy notables in its time. Jost was promoted to head writer for SNL in 2012, and during his time on staff, he's been nominated for five Emmys, and won a Peabody in 2009 and three Writers Guild of American awards in 2007, 2009, and 2010. God, I feel lazy and untalented just writing this. It's called Staten Island Summer — Staten Island is where he is from — and according to Splitsider it follows "two poolside lifeguards who just graduated from high school: one named Danny who's off to Harvard in the fall, and another named Frank who's unsure of what to do with his life." Ashley Greene and Kate Walsh also star. 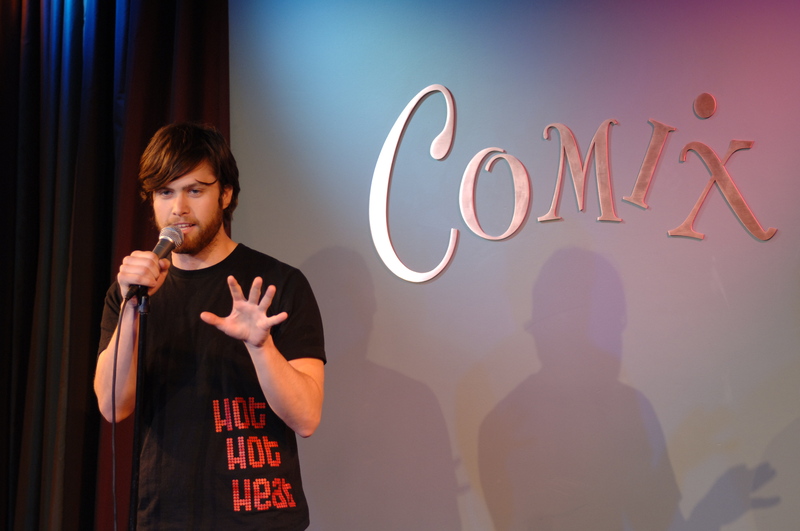 As with countless comics of SNL past and present, Jost also works as a stand-up comedian. His television debut was a set on Late Night With Jimmy Fallon, during which he muses on identity theft, elderly people's fashion sense, and Facebook. This would make sense, as he's probably had a hand in writing it for years, so why not put the extra brainstormed material out into the twitterverse? He's following in the footsteps of Tina Fey and Seth Meyers, so you should probably get used to his face.